Natural range Lake Baikal to Primorsky, Sakhalin, northern continental China, Korean Peninsula, Cheju Is., and Japan (Hokkaido, Honshu, Shikoku, Kyushu, Kunashiri, Sadogashima, Oki, Iki, Tsuhima, and Osumi Islands). Habitat Rice field, swamp, forest, etc. Range in Japan Established on Hachijojima Is. (Izu Islands). 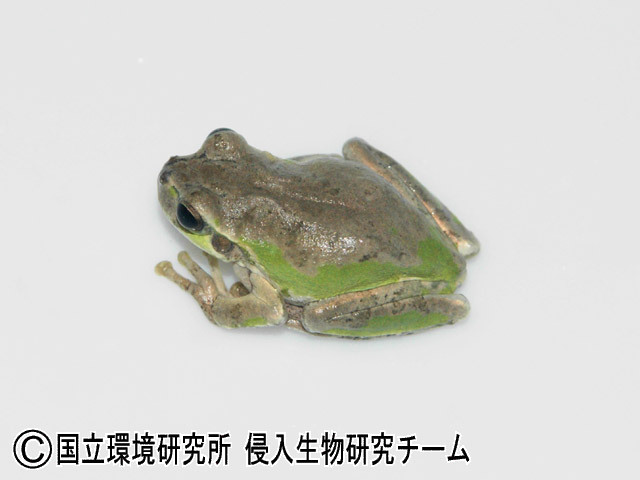 Date Although the first record on Hachijojima was in Jul 1994, this species may had already established earlier.